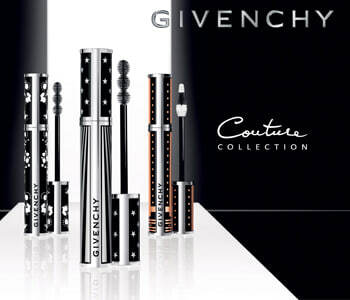 The worlds of beauty and fashion collide with the GIVENCHY Eye Couture capsule collection, an edit of bestselling Noir Couture Mascara and Ombre Couture Eyeshadow reimagined and dressed in some of GIVENCHY’s most iconic Fashion Week patterns. The perfect fit for those with a sartorial eye, each pattern pays homage to some of fashion’s best-loved motifs, including glorious stars, delicate blossoms, and graphic studs. Perfect for collectors, style mavens and beauty lovers, indulge in this tribute to timeless GIVENCHY style for one season only.